Wrapped in a dream. Let satisfaction soak in with the Satin Body® Silkening Shea Lotion. It instantly comforts and melts into your skin, providing immediate relief for dryness. Formulated with rich shea butter. Quick-absorbing lotion feels luxurious and pampering. Your skin will feel deeply moisturized, nourished, satiny-smooth and look revitalized. Wrapped in a dream. Let satisfaction soak in. Satin Body® Silkening Shea Lotion, formulated with luscious shea butter and enhanced with vitamin E, feels luxurious and pampering. It instantly comforts your skin, providing immediate relief for dryness, and is clinically shown to moisturize for 24 hours.† Your skin will feel deeply moisturized, nourished and satiny-smooth and will look revitalized. Let satisfaction soak in. Use in the morning after bathing. Apply liberally until your skin feels supple. 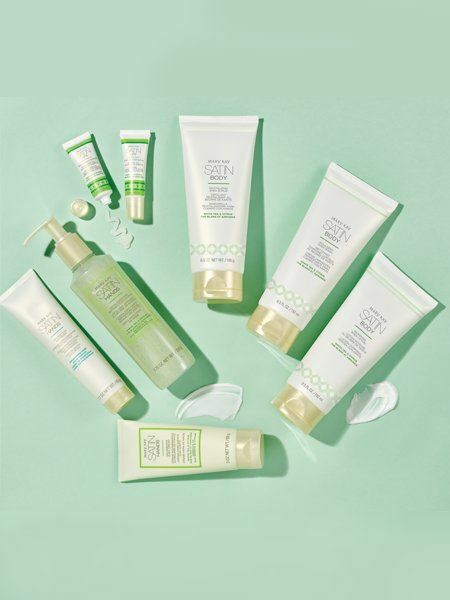 For smoother skin, indulge in our other shea-powered products from the Satin Body® Collection.